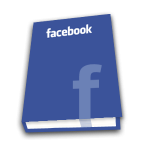 Most of us have Facebook fan Page or Facebook Page we always do create one for our Website or Business to attract visitors but time comes when you want to delete it because you want to create a new one or you have closed the website related to it, their might be various other reasons. Well whatever the reason it maybe once you have decided to delete Facebook Page then let's get Started with it. To the Right side of your name in The Top Bar their will be an Arrow Click on it. 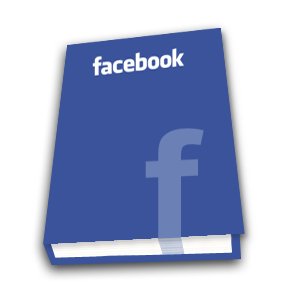 After Clicking on it you will see the following kind of list with all your pages. 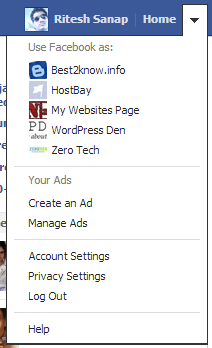 Once you are on the Page you will see a Tab "Edit Page" Click on it and Select "Manage Permissions". 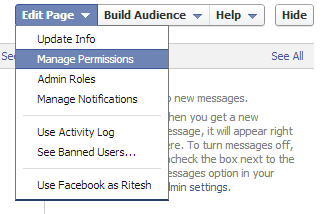 Once you Click on it Select "Manage Permissions"
Now your Facebook page is deleted, I hope you liked the tutorial and have enjoyed it.If you need more help do not hesitate to contact, I will try my best to come up with a Solution.